This 2010 built house has huge amounts of space both inside and outside. Super modern house with four large bedrooms, open plan lounge and kitchen on a 2010 square metre section. Off the internally accessed garage there is also a fully decked out gym and a trampoline and bars for the kids outside ,skate ramp down the back on the massive frontlawn. Relax on the deck with sheltered barbeque area and let the kids run around and play or maybe just lie in the hammock in the trees down the bottom of the section. Flat screen TV's with Sky in lounge 4th bedroom and Gym and a Spa bath in the Master bedroom. This recent subdivision of Allenby farms has become the main family area of Wanaka and with a safe atmosphere, neighbouring reserve area and local parks and playgrounds this is the place to relax after enjoying all the best that Wanaka has to offer. If you are feeling energetic it is only a couple of minutes walk to the start of the Mt Iron track which continues to be one of the most popular walking tracks in New Zealand. Town and the nightlife of Wanaka with extensive bars and restuarants is only a 15 minute walk away and it is the same to the lake front or quieter areas of the lakeshore. 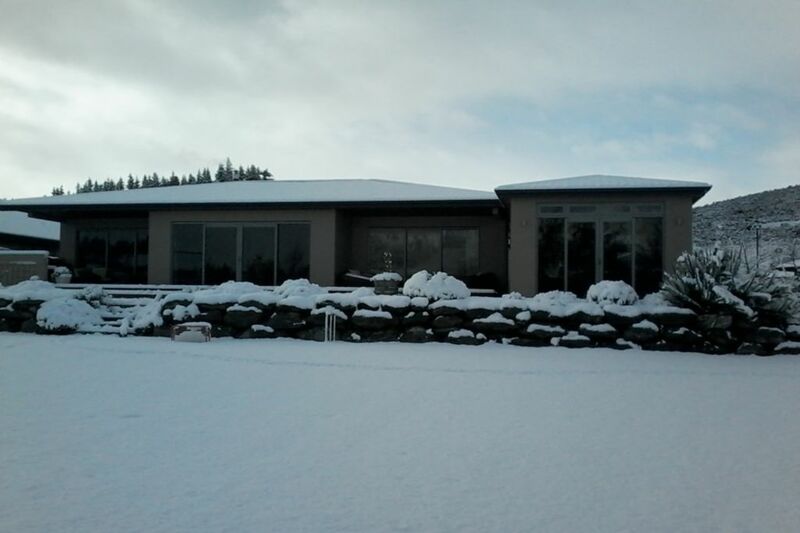 The house enjoys west facing views of Mt Roy and Treble Cone skifield and is super warm in the winter months. It boasts a log burner, heaters in the bedrooms wired to automatic timers and insulated to the highest levels. Truely a perfect base to make the most of Wanaka and the wonderful areas around, whatever your interests are. Very peaceful neighbourhood yet close to town. Location great. Close to town. Nice and quiet. Amazing views. Great big space for kids to play in the yard. Warm and comfortable.